Question of the Week: Why do some cemeteries allow any type of monument but others have strict restrictions? Why do some cemeteries allow any type of monument but others have strict restrictions? Typically, when a cemetery has restrictions on what type of monuments may be installed on their plots, it is for one of two reasons. The first of these reasons has to do with the cemetery’s religious affiliation. Although there are a few Baptist and Methodist cemeteries which require specific religious designs on the monuments placed within them, from our experience, Catholic cemeteries tend to be the most strict. When I am told that it is a Catholic cemetery, I can normally guarantee that the monument design is going to have to have the “praying hands” design or specific crosses. Although many cemeteries which have restrictions will bend the rules if the plot owner or their loved ones request it, Catholic cemeteries typically will not allow any exceptions to their restrictions, not matter how much a loved one begs them to reconsider. I am not in any way “putting down” the Catholic cemeteries. From what I gather from speaking with several devout Catholics, the specific designs are required because according to their faith, even the monument on your final resting place should show your Catholic faith. The praying hands with the rosary and the specific crosses are meant to represent that you were a devout Catholic, who deserves to be in God’s good graces. Therefore, anyone who is purchasing a plot in a Catholic cemetery should know beforehand that there will most likely be severe restrictions placed upon what is and is not allowed. If, for whatever reason, you do not wish to include these Catholic symbols on your monument, it may be best for you to consider purchasing a plot in a non denominational cemetery. Non-denominational and non religious cemeteries are typically the most laid back when it comes to the restrictions on what monuments can be placed on their plots. No matter where you live, you should be able to locate a cemetery which will allow you to have the type of monument you desire. From my research as well as what I’ve learned from working with people all over the country, you should be able to locate a non-denominational or a non religious cemetery in your area. The only nation wide exception that I have found when it comes to the cemeteries which are the strictest is military cemeteries. Normally, there are no exceptions, ever, for any reason to what a military cemetery allows. The monuments in these cemeteries are normally a plain cross shaped upright monument or a gray flush marker with lettering for the names and dates only. But, its common knowledge that when you decide to be buried in a government run cemetery that its going to be fairly generic. That is a decision that must be made by the family. However, be sure to keep in mind that it is always possible to relocate your loved one if you do not feel comfortable with their resting place or you feel as if they are not being honored in the way they should. While this is not an easy process, it is always an option when your peace of mind is being disrupted. The other main reason for cemetery restrictions is to ensure easy maintenance of the cemetery. If you were to walk through an older cemetery and then take a walk through a newer one, you will most likely notice that there is much more variety in an older cemetery than in a newer one. It is only very recently that cemeteries began allowing only flush markers in their cemeteries. When a cemetery does not allow any upright or slant monuments, it is typically to ensure that the caretaker is able to quickly and easily cut the grass, without having to cut around each monument individually. When every monument in an entire cemetery is a flush marker, the caretaker needs only drive right over top of them to cut the grass. If your loved one’s final resting place is in a cemetery which only allows flush markers, do not get discouraged. I have had many clients contact me in tears because they felt as if they could not honor their loved one’s they way they felt they should with something as generic as a flush marker. Thanks to modern technology, we can do just about anything. 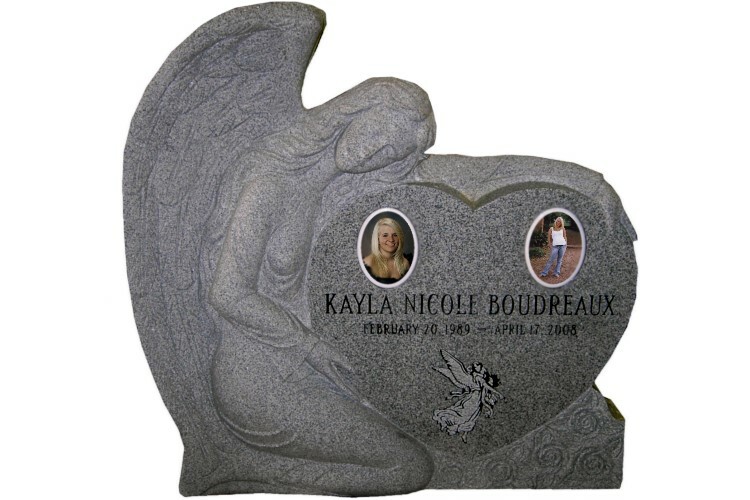 Even if a cemetery requires that the flush marker be gray, or another color which does not allow laser etching, we have many options for designing a beautiful, unique memorial to your loved one. Also, keep in mind that you can always create a memorial garden outside of the cemetery if you feel as if the monument placed on their burial plot has not done them justice. When I lost a loved one and was not able to help create the monument because their spouse did not want any suggestions, we designed a bench to honor our loved one and placed it in his mother’s garden. So, we have a place where we can go to remember him and we were able to create a beautiful memorial which truly reflected the person he was, as our final gift to him. It is important to remember that each cemetery has a different set of rules and regulations. Prior to staring your search for the perfect monument, it is best to request a written description of these rules and regulations. In doing this, you will ensure that the monument you choose will be approved and accepted by the cemetery. If you have any questions regarding cemetery restrictions in general, please feel free to leave a comment. To begin designing a monument for your loved one, visit our website at http://www.mikeslaseretching.com. Question of the Week: What Color Granite Should I Choose For My Monument? What Color Granite Should I Choose For My Monument?? 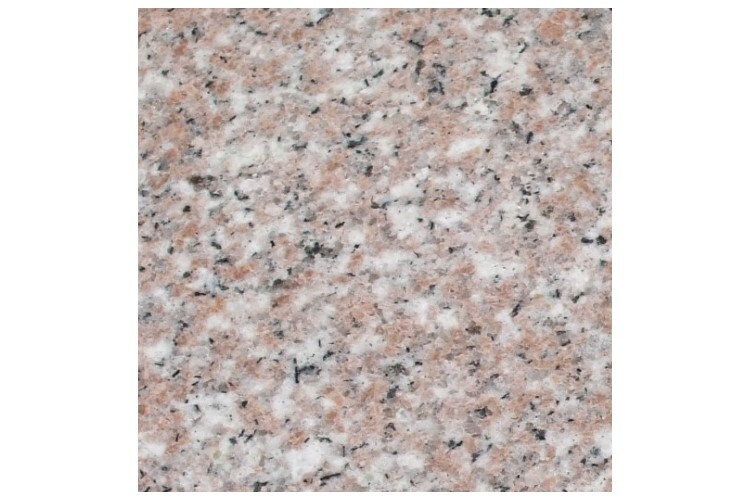 If you have researched granite monuments at all online, you will know by now that there is a huge variety of granite colors. 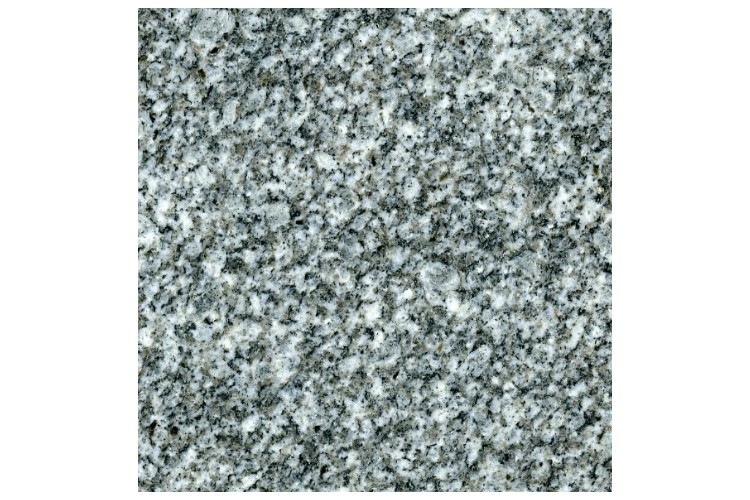 It is important to remember that granite is a product of nature. It is not possible to guarantee that all color markings, nor that every characteristic of the pieces will be uniformly present in every piece of granite, even of similar type and variety. 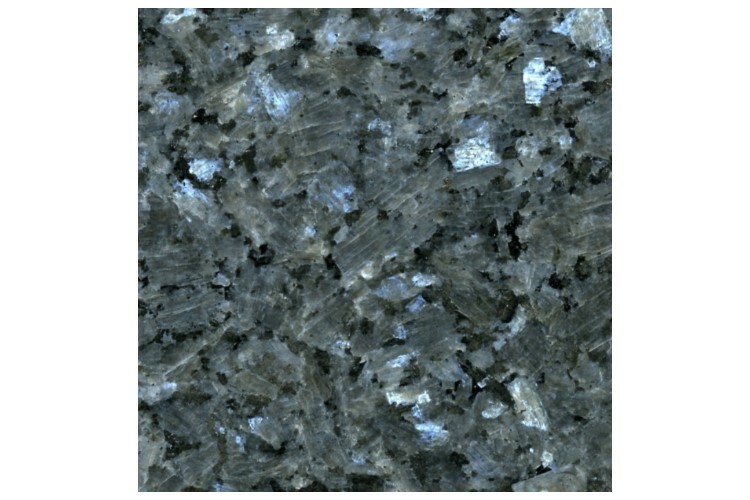 Granite is available in colors ranging from the whitest white to the blackest black, and every color in between. 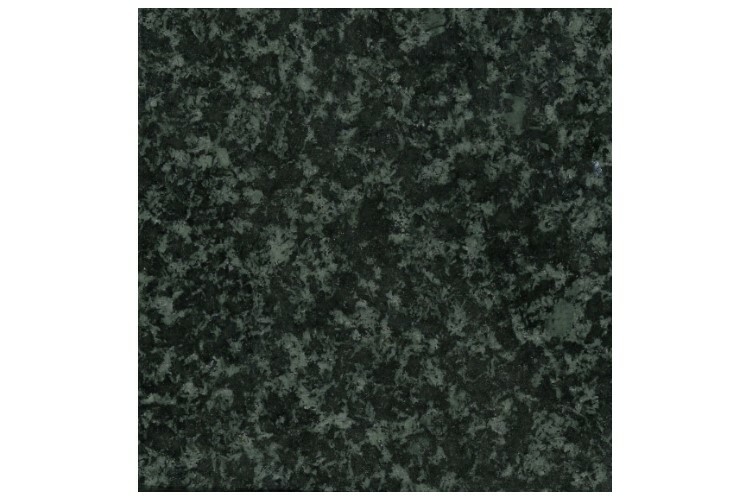 To see some of the most commonly ordered monument colors, visit our website at: http://www.mikeslaseretching.com/granite_colors.html. One of the most important things to ask yourself when deciding upon which color granite you should order your monument in is: Do I want sandblast or laser etch my design? The reason this is the most important thing to consider is because not every color can be laser etched and not every design can be sandblasted. If you do not know the difference between sandblasting and laser etching, please refer to our previous blog here: https://mikeslaseretchingsartinmemorials.wordpress.com/2013/07/30/question-of-the-week-what-is-the-difference-between-laser-etching-sandblasting/. 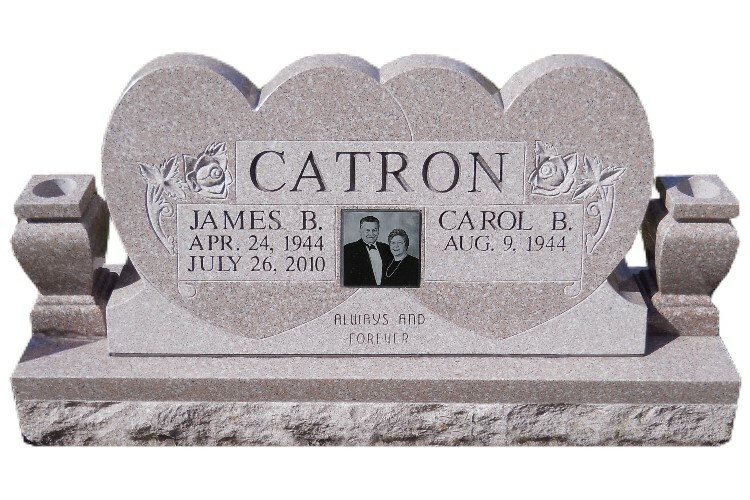 Basically, if you want a design that is extremely detailed, such as a picture of a person or an object, you would need to go with a color of granite which can be laser etched. 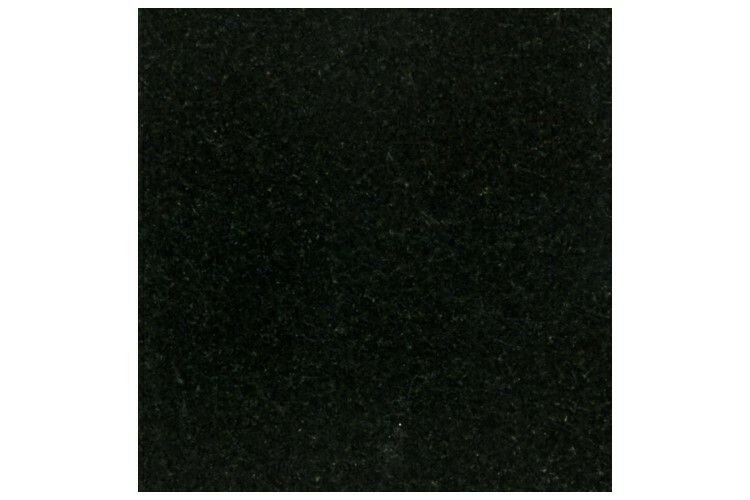 For images with the most detail, such as a picture of a person, the darkest black granite would need to be used. Therefore, you would need to go with Jet Black or India Black. 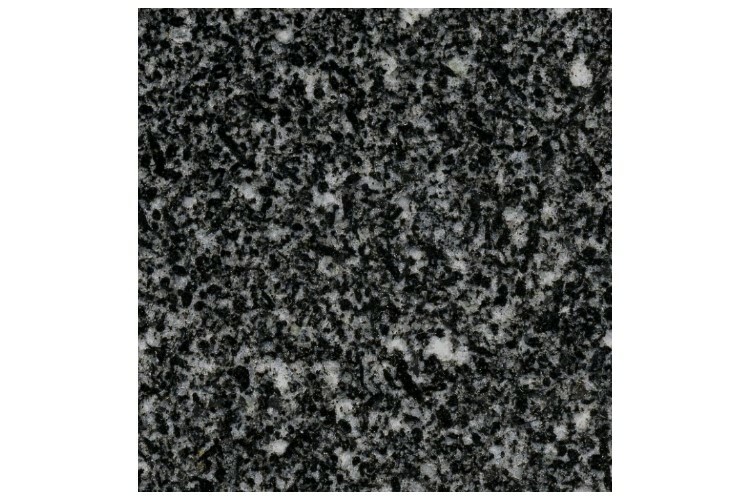 These two colors of granite have the least amount of color variations throughout the stone, as they are typically one uniform color: the darkest black. 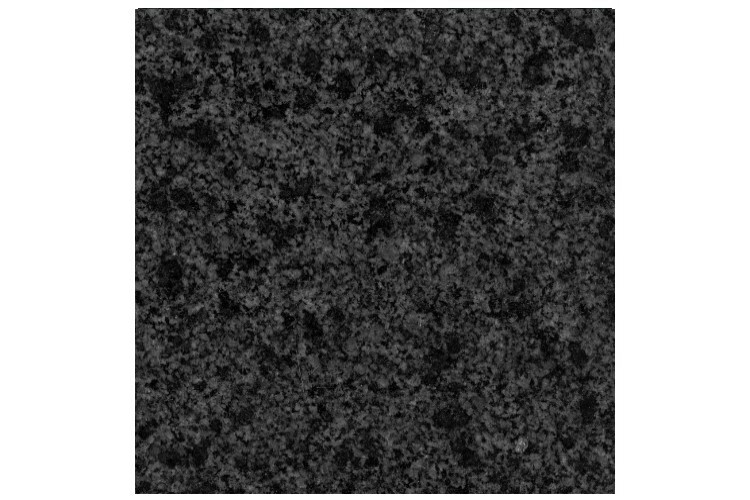 When you begin to get into lighter black granite, such as Midnight Black and Frosty Black, the color variations begin to become more frequent and much larger, as you can see from the images below. If an image of a person’s face were to be etched upon a piece of Midnight or Frosty Black granite, these color variations would cause the image to start becoming blurry. Instead of the sharp, clear image you see in the Jet and India Black, it is difficult to make out the small details on these colors of black granite. Although not recommended, it is possible to etch detailed images on Midnight and Frosty Black granite. Prior to doing so, it is important that our clients understand that the image may not be as clear as it would on the Jet or India Black. Images which are not extremely detailed, such as a picture of a nature scene or of a car can be etched on the lighter black granite and will turn out beautifully. When you start to get into the colored granite, such as the Blue Pearl and the Carnation Pink, whether or not a design can be etched varies. It not only depends upon the type of image, but also upon the color of the granite. A monument which is of a darker color, such as a Forest Green, can often still be used to etch some of the lesser detailed images. Something along the lines of a landscape can be etched on these darker colors. However, etching a picture of a person is never recommended when it comes to granite which is any color other than the darker blacks. 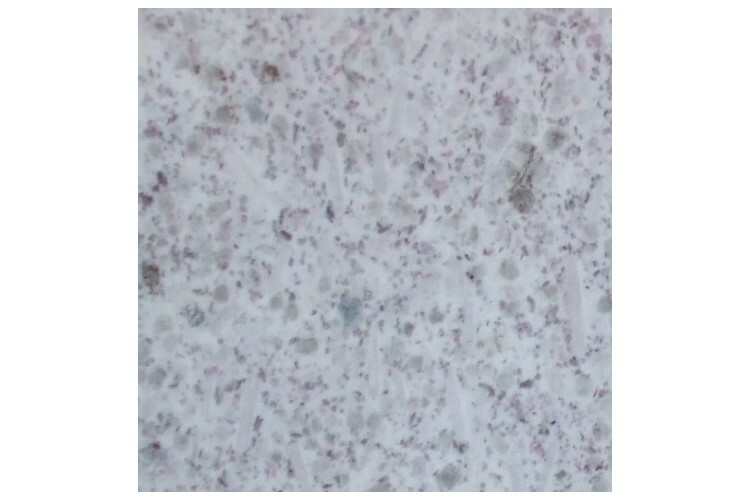 The lighter the color of the granite becomes the less likely a laser etched image will work. Once you get to the light grays, pinks and white, we will always recommend that the design be sandblasted only. This even applies to lettering, which can typically still be etched on the lighter reds, blues and greens, as a laser etched lettering on the lightest colors is not going to be visible at all from a distance. If you would like a monument in a color which cannot be laser etched, but you would still like to include a picture in the design, there is a way for you to get the best of both worlds! We can include either a laser etched Marble Portrait, or a colored Porcelain Portrait in the design. A laser etched Marble Portrait will be done in black and white and the Porcelain Portrait can be done in either color or black and white. There are a variety of shapes and sizes available in both the Marble and the Porcelain Portraits. We have designed monuments where a client has included a large Marble Portrait which covered the entire back of a white granite monument in order to add a photo collage, while still being able to choose the white granite she loved so much!